It’s easy to fall victim to information overload when you start your journey to a new apartment or home. To save you some time, we’ve narrowed your list to the top nine renter resources you should look into. There are many types of renter resources varying from dense legal information to general guidelines. We’ve compiled nine resources and broken them into several categories to help in the various stages of your renting journey. 1. If you’re in the early stages of finding a place to rent, you might want to start with the rent calculator. Using your weekly, monthly, or yearly income, the calculator estimates what you can afford to pay in rent, and provides budgeting tips as well. 2. Renter’s insurance isn’t always required by an apartment complex or landlord, but it is still a smart investment. Make sure to do your research on the various kinds. The Texas Department of Insurance does a good job of breaking down different policies and what they each cover. 3. For a first-time renter, there are many ways to make errors, such as not fully understanding the lease. This article by US News does a great job of helping you safely navigate the hurdles a first-time renter might face. 4. Although the Texas Property Code Chapter 92 site is intended for property owners, it’s also useful for renters looking for legal information and property code. It covers everything from smoke alarms to repairs and security deposits. Texas Property Code Chapter 92 is everything you need to know about the law surrounding rental property. 5. The Texas Apartment Association has helpful information for renters with a robust list of frequently asked questions about common issues renters face. It also includes details specifically for those affected by Hurricane Harvey. 6. The City of Houston’s website is perfect for anyone looking for simplified tenant laws, including information about the landlord’s legal responsibilities and obligations. 7. No one wants to find bed bugs in their dream apartment, but it can happen. A great page on the Houston Apartment Association’s website is their Common Questions – By Issue. It answers everything including pet deposit costs, what to do if you find bed bugs, what to do if sewage is backed up, and much more. 8. The Texas Tenant Advisor is geared toward helping renters understand their rights. The site includes tips to prevent potential issues, such as making a list of all damages during a walkthrough before signing a lease. 9. Last but not least, the Texas Attorney General Consumer Protection page also covers tenants’ rights. This site is written in plain English and has a section on what to do if you experience any problems. From online research to the actual moving process, moving can be stressful for renters. If you’re looking to move into a rental property and need help getting the job done, feel free to contact Ameritex Movers. 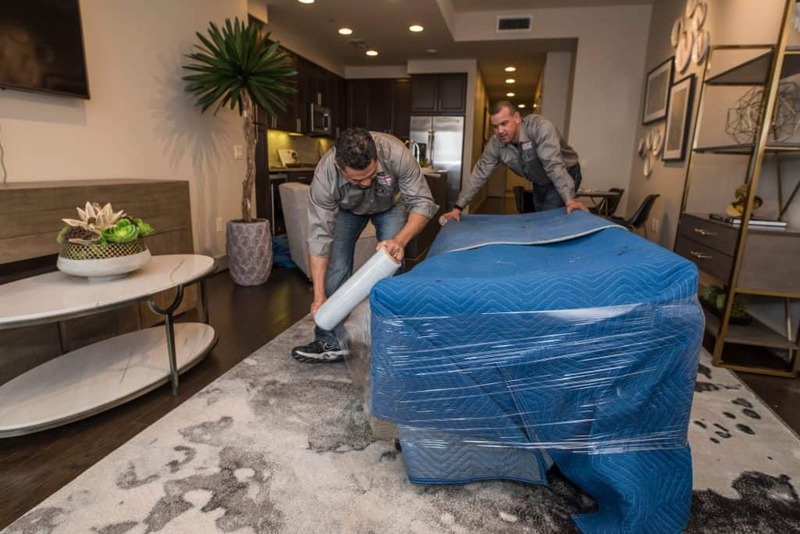 We’re here to help make your move easy and stress-free.